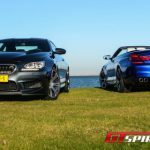 After a two-year absence, the BMW M6 has returned following the release of the BMW F12M M6 Coupe and BMW F13M M6 Convertible. 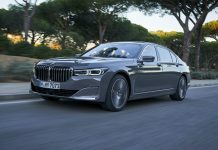 The high-performance two-door models have been unleashed onto the automotive market following the changeover to the latest generation of the 6-Series. 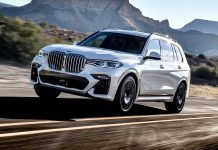 Sporting a new powertrain, a revised look, and a simplified driver interface, this is the ultimate BMW and it is every bit as impressive but much more civilized than before. 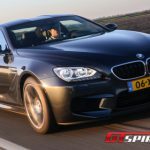 The new M6 is the fastest M model ever, despite having lost two cylinders along the way. For a top-tier performance coupe, this might be seen as a step backwards. BMW’s M division has combined science and engineering, together with a touch of madness to produce two models that serve to inspire and excite in a new manner. Both in Coupe and Convertible form the M badge means “more”; more space, more power, more weight. 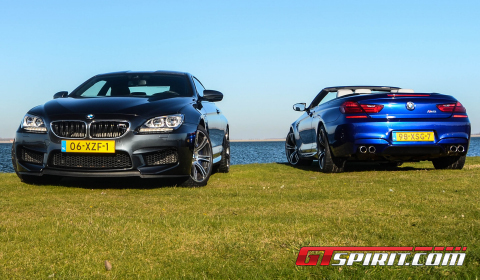 We had both cars for twenty four hours on our favourite local European roads, having also been fortunate enough to obtain access to both current members in the third generation M6 family; the Coupe and Convertible. Both share the exact same powerplant, drivetrain, suspension, and body modifications, but differ with respect to their presence. 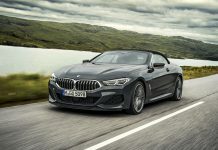 The Convertible is more of a luxury four-seater – the equivalent of automotive jewellery, while the closed version will probably appeal more to those that buy it for the experience. Although that isn’t to say the two are mutually exclusive! So both use the same basic platform, which consist of a number of highlights. 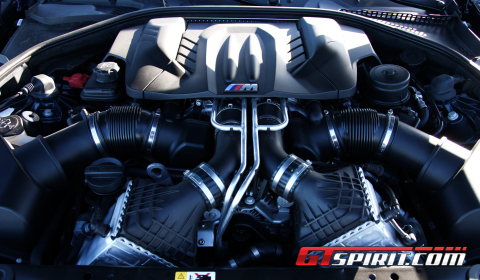 First in line is the 4.4 liter twin-turbocharged V8 engine, similar to the unit that powers the M5 Saloon. 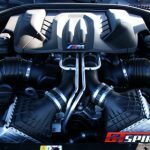 It produces 53hp more than its ten-cylinder predecessor at 560hp, and 680Nm available from as low as 1,500rpm to 5,750rpm. 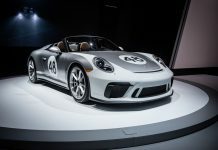 The 4.4 liter engine also features direct fuel injection, Valvetronic variable valve timing and Double VANOS continuously variable camshaft control, all of which help it to rev to 7,200rpm. 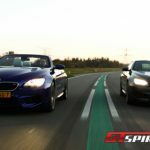 The result is a 0-100km/h sprint of just 4.2 seconds for the M6 Coupé, with the M6 Convertible following at 4.3 seconds. 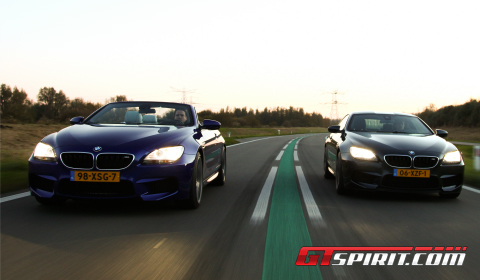 Both versions have a top speed limited to 250km/h. 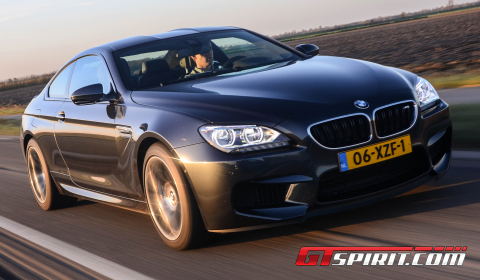 The new BMW M6 models use BMW M’s latest seven-speed Dual Clutch Transmission with Drivelogic. For US customers, a conventional six-speed manual will be available! The excellence of the engine has found a sublime counterpart in the transmission department. The dual, wet-clutch M-DCT unit features a dual character. 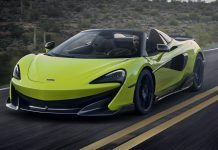 On one side you have its ferociously fast gear changes when you are paddle-shifting it in manual mode, and on the other hand you are able to experience its sophisticated mannerisms while cruising. The gearbox is the key component in a car that offers a more refined and pleasant experience than ever before. The delivery of the immense levels of performance onto the road via your right foot are a sheer pleasure and an exhilarating experience. The BMW’s smart active rear differential lock provides an excellent balance between both rear wheels offering smoking lift-offs and easy controllable drifts. It reduces under steer, provides better high-speed stability and improves cornering performance. An important point to note is the fact that BMW swapped the floating rear subframe for a fixed unit to improve handling and power delivery. The removal of the canvas roof on the Convertible opens a different world in which the cabriolet tends to absorb dips, grooves and seams in the road, a lot better than the Coupe does. With the roof up the Convertible feels like a different car. It becomes almost as rigid as the Coupe and provides more road feedback to the driver. The differences were most noticeable when you opt for the Sport Plus settings in the Drive Dynamic Control system. The amazingly supple and compliant comfort mode changes to a quite firm and totally planted set up. Simply removing the well-insulated cloth roof brings back most of the suppleness, which we found to be a rather intriguing behavior, not favourable of the F13M’s rigidity. The DDC toggle selector also offers the driver an opportunity to personalise shift speed, throttle response, the stability control program and steering feedback. You can dial-in an individual preference, or group and store two different settings and then activate them via the M buttons on the steering wheel. Even the head-up display has its own M Power setting, which can be stored under one or both buttons. The least convincing part of the tweaking concerns the variable-rate and variable-assist hydraulic steering. The three available settings offer a clear difference in steering feel and a choice between easy every day traffic steering up to utterly precise handling through tight corners on a race track. The steering feel is not quite as involving as the last M6, but surely an improvement over the standard 6-Series rig. The exterior looks of both feature the same upgrades with respect to the normal 6-Series. At the front a new M apron with wide air-intake is combined with contoured headlamps featuring the characteristic BMW Corona rings and the new M kidney grille. 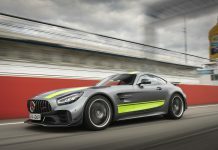 To the side, a 30mm increase in the front track is connected to new front wheel arches, with the familiar M gills behind them featuring chrome flares and indicator bars with the M logo. 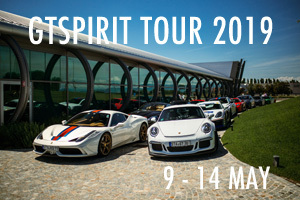 At the rear, the twin pairs of exhaust pipes sit either side of the aerodynamically optimized diffuser. The new M6 comes as standard with 19 inch Star-spoke forged alloy wheels featuring seven double spokes in a two-tone finish. Optional 20 inch alloy wheels, with five double spokes were fitted to the Convertible. They proved to be the straightforward choice for our test team. On the subject of the roof, the Coupe uses a carbon fiber reinforced plastic roof panel, lowering the car’s center of gravity. The Convertible features the same retractable roof as the 6-Series Convertible. It can be raised and lowered at anything from a standstill to speeds of up to 25mph. Just 19 seconds is all it takes to lower the roof; 24 seconds to raise it once again. The retractable wind deflector is the ultimate feature when you want to listen to the exhaust with the roof up, but at speed and with the roof down it is ineffective at killing wind buffeting for the front seat occupants. The interior is quite similar to the normal 6-Series. Some additional M badges, a new steering wheel and the center gear shifter remind you of the M Power status. The cabin is completely at home in this luxury coupe with perfect stitched dashboard seams and soft leather everywhere. The front provides more space for the passengers than the rear, a common thing in coupes. The cramped rear space is suitable only for small children or can be used as additional luggage space. Boot space in the Coupe is an impressive 460 liters, while the Convertible grows from 300 liters to 350 liters when the roof is put up. The raw and uncompromising character of the previous M6 series has been left behind. 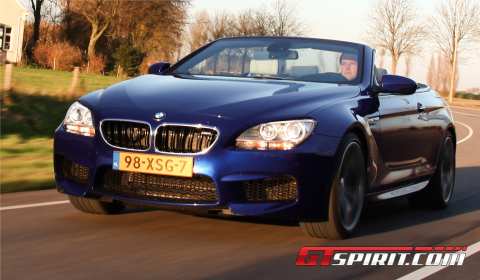 The new M6 is much more a grand tourer, capable on both road and track. 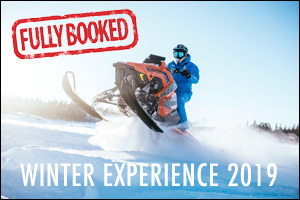 The complete package is extremely exhilarating with an impressive balance of steering, braking, acceleration and cornering. The dual nature of the M6 is a sheer pleasure when you request a comfortable Sunday ride or a Saturday afternoon hooning experience. Due to its massive weight of around 1,900 kilos, the M6 is not the ultimate track weapon. On the contrary, it is the most polished version yet of BMW’s most sophisticated high performance coupe. This leaves us with the choice between the Coupe and the Convertible. The rigidity and suspension altering character induced by the removable roof makes the Convertible our least favoured option. 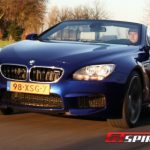 Those requiring the open-top driving experience for long jaunts over sweeping mountain roads with an incredible sound track will find their way easily to the roofless M6. But we take a different path asking for a more rewarding experience behind the wheel and a more aggressive exterior coupe package with only one single remark; we would definitely take the stunning looking 20 inch wheels, the Merino Silverstone II leather interior and the head-turning San Marino Blau Metallic color of our Convertible tester and fit them onto the Coupe!